TOMORROWS SUYL WILL BE "WHAT ARE YOUR READING RIGHT NOW?" The girls and I made a day trip to Little Rock today. We left at 7:45 this morning and got home at 9:30 tonight. Suffice it to say, I'm a little tired. I've made three trips to central/south AR in the last 10 days. I do not want to drive anywhere again for a while. 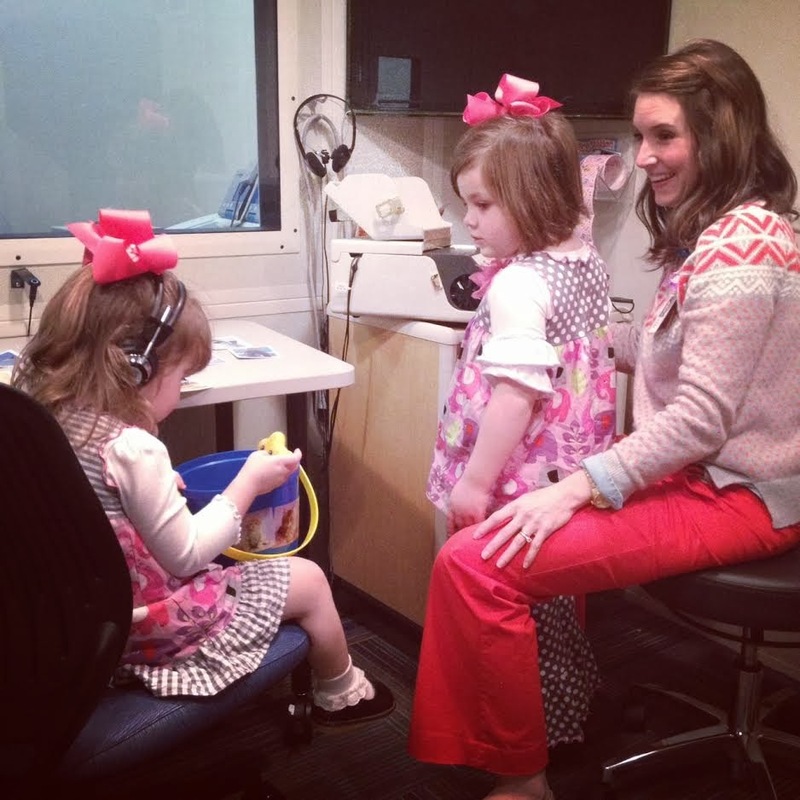 Harper had an appointment today at Children's Hospital with her audiologist. This was the fist time ever that I took both girls alone and didn't have Scott or one set of grandparents go with me or meet me there to wrangle Hollis. We are making progress. I felt like I could make the trip and handle both girls alone. It's amazing how much better Harper does in the testing than when she first started when she was two. Dr. Jan was talking to me and Harper pulled Hollis into a chair and put the headphones on her and started imitating Jan and doing testing on Hollis. She also does Speech Therapy on Hollis. It's so funny to watch. We had a long appointment today. We were there for four hours but they were able to test Harper with her hearing aids out and with them in. Then they made new molds for Harper. Usually that has been a HORRIBLE experience. Harper always screams and cries like someone is sawing off her leg but today it finally was just fine. Jan is a miracle worker. And Harper picked "sparkly gold" as her new mold color. That should be fun. 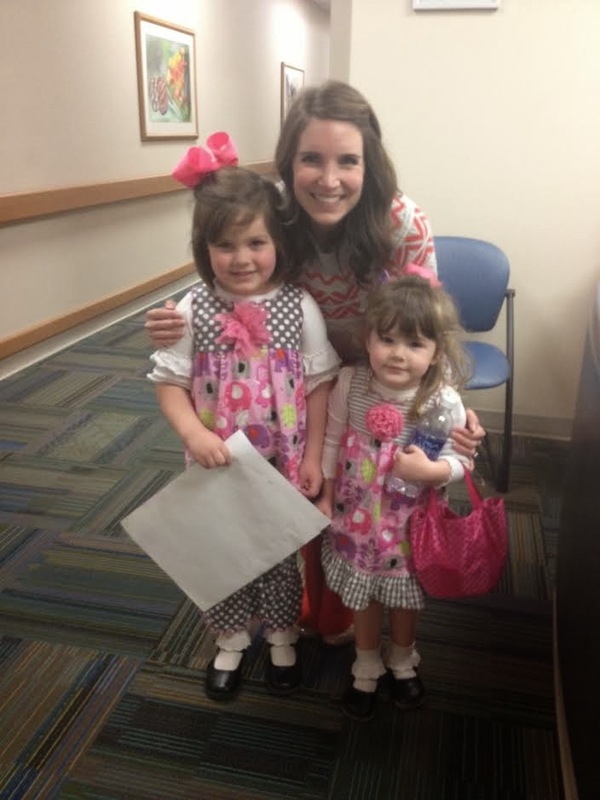 One of Harper's therapists had recommended to me that we try to get a trial with a new set of hearing aids to see if they could help her hearing and speech. Today Jan suggested the same thing so we now have a new set of hearing aids we are trying out and hopefully will be ordering soon. I'm hoping they will help her hear even better. We also had Jan write a recommendation for Harper to get a FM system for school. I'm hoping everything combined is going to really help Harper next year at school. 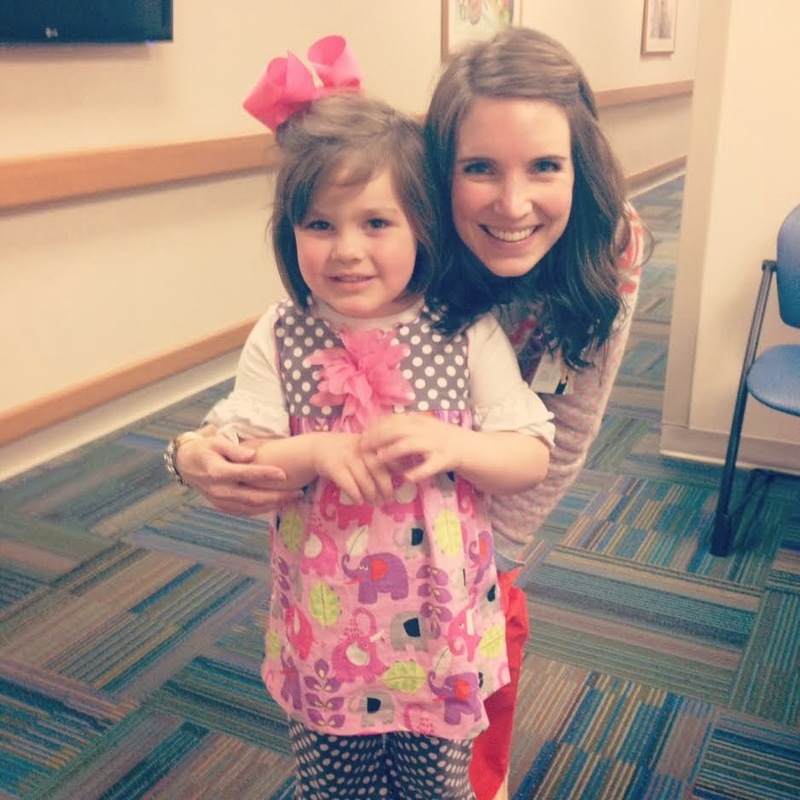 Harper just loves Jan. She told her she wanted to stay there with her. Hollis was ENTHRALLED with her too. She kept wanting Jan to test her hearing. 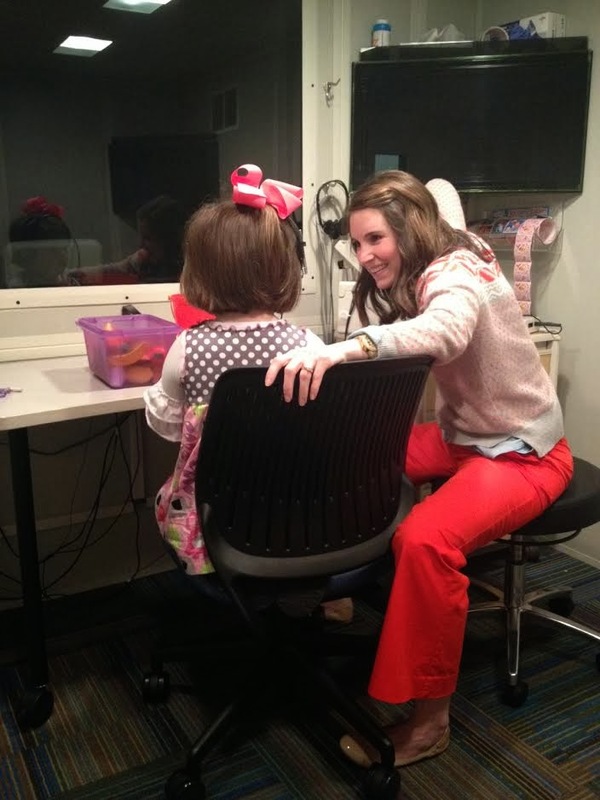 What a HUGE blessing to have such a kind audiologist who takes so much time with us. It's worth hours in the car to have someone who cares that much. We stopped halfway home at an old (VERY OLD) standard in Russellville - Feltner's Whatta-burger. 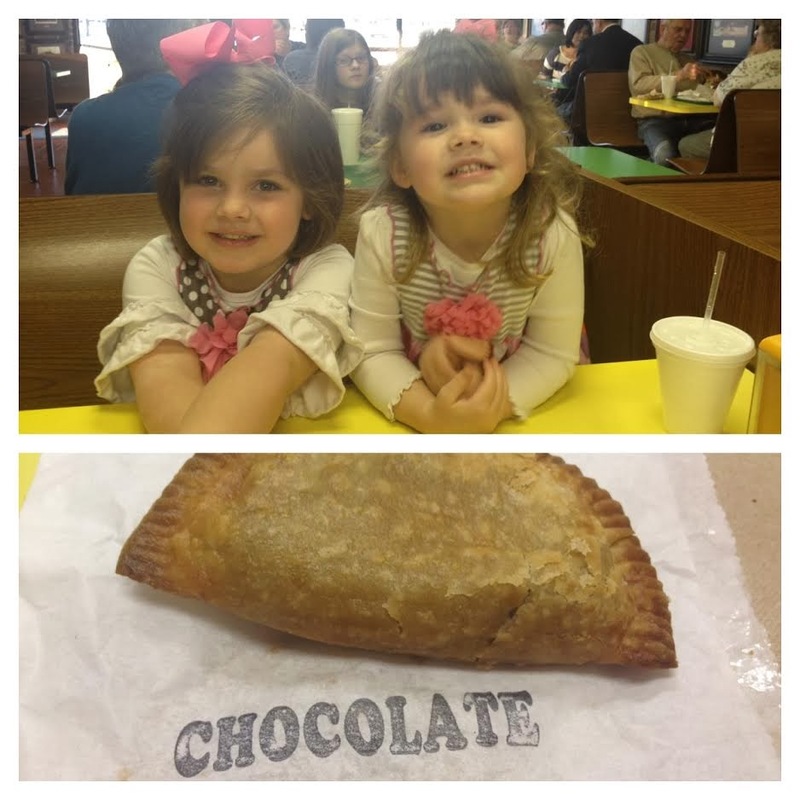 It is an old fashioned burger place and they have Fried pies that will make you want to "slap yo momma". OH MY! I wanted to bring about 10 home with me but I stopped with one very delicious one. We were driving home and it was dark and I had been quiet and Harper spoke up and said "Momma - are you asleep?" ha ha ha!